Our road trip buddy, Taylor, was in town this weekend, which meant we got some serious drinking road trip planning done. Also drinking. We made some pretty critical decisions though! Initially we were torn between doing the “AlCan” proper vs the Cassiar Highway. After some experiences, doing some preliminary lodging searching, and going with our guts, we’ve decided to do the Cassiar. Additionally, we’ve decided to end the trip in Anchorage, but go ahead and run through Fairbanks. This is because we’ve also decided against driving to Tuktoyaktuk (+1,500 miles) or Prudhoe Bay (+1000 miles) and instead are doing Denali. I’d probably still be advocating for Prudhoe Bay, but apparently you can’t drive up to the Arctic Ocean in your own car. This is a deal breaker for us as these trips are as much about the cars as they are about the drive, so them being there for the first 3,000 miles but not the last 1 mile would be... sad. I am legit getting sad just thinking about it. Is that weird? I really want to do Tuktoyaktuk, but acknowledge that the added 1,500+ miles is a non-starter. If we could add a week to the trip, it wouldn’t be a question. I’ll add it to the list of things to do one day. Also, we’ve floated trying to head over to Port Angeles and take the ferry to Victoria as a kick-off drive. I have mixed feelings about this. It is a lot of added time, cost, and mileage buuuuuuuuuuuuuuuuut Port Angeles is where we ended the last road trip (Hurricane Ridge) so it’d be cool to put a bow on that and pay homage to the old cars and trip. We’re also on the fence about taking the Port Hardy to Prince Rupert ferry. 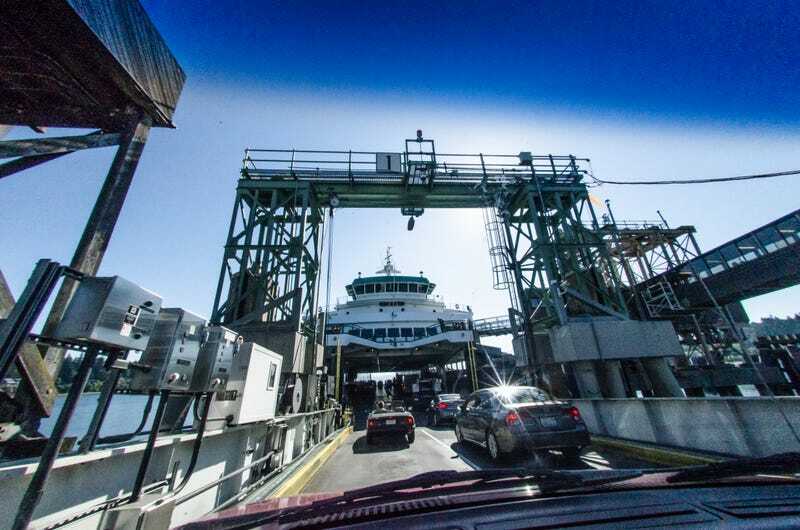 It would shave about 300 miles off the trip overall, but introduces the scheduling complication of a ferry that only runs once every two days, plus an estimated $450 per person. And this is a road trip, not a boat trip. George is pretty sold on the idea, Taylor is tentative, and I’m mildly against. Anyway, very little of this is set in stone and we’ll be doing a lot of work over the coming months to firm up details before we start bookings. Still a lot TBD on this. For this road trip we’ve dropped the “sell the cars at the end” requirement because I am, apparently, completely incapable of following it. Unfortunately, for this trip transport costs from Anchorage to Tulsa start at $2,600 and go from there. I am all about going above and beyond for my mechanical companions, but there are limits... and that is one of them. So yeah... getting rid of the cars. Plan A, in my mind, is donating them to the local NPR station and being done with it. I have, however, entertained the idea of selling it ultra cheap to a fellow Oppo. Say... $500? Free? Also I’ve considered trying to get a sale ultra cheap in Anchorage. Anyway, as always, suggestions are welcome! AlCan Cheap Car Challenge postponed but still happening!